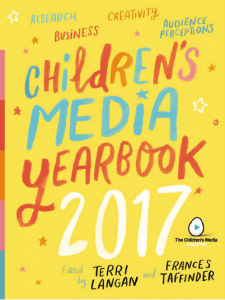 Meanwhile you can buy the 2017 Children's Media Yearbook for £10 + p&p, or the digital download for £7.95. These versions are free to CMF patrons and supporters. Donate and join here. We have two remaining sponsorship spaces in Yearbook 2018. If you are interested in a full page sponsor's message which will be distributed to all 1,200 delegates at the Children's Media Conference in Sheffield in July - apply here. Event Report: A New Chapter in Regulation? Common Sense?